More than once, and on different occasions, I’ve heard farmers in Mindanao voice wonder at how too many farmers in Luzon persist in growing rice, even as that crop has failed to lift them out of poverty. In the same breath, they’d cite how they’ve made a good living growing higher-value crops such as rubber, cacao, bananas and oil palm. Rubber farmers, for one, liken their trees to banks’ automatic teller machines that yield money on a regular basis, for minimal “deposits” of fertilizer and basic plant care. Those Mindanao observers were probably not alluding to more productive rice farmers who can produce 70 to 100 sacks (3-4 tons) of palay per hectare, well above our national average yield of 35 sacks (1.5 tons) per hectare over the last 20 years. We have many of these, and they need little government help. But there are also numerous marginal rice farmers tilling less productive lands, much of these unirrigated, unmechanized and underfertilized owing to lack of access to credit for needed working capital to buy productivity-improving inputs. It’s these rice farmers who might do well to consider planting something more remunerative than rice, especially if the lands they are tilling are less suited to rice anyway. But government, and seemingly Philippine society as a whole, want them to keep on planting rice, in the name of achieving the dream of full rice self-sufficiency—never mind that they are likely to remain in poverty if they do. Some stark ironies come with our seeming obsession with full rice self-sufficiency. Countless papers written over the years by respected scholars (notably agricultural economists Cristina David, Ramon Clarete, Arsenio Balisacan, Rolando Dy and Roehlano Briones, among others) have observed how rice has traditionally received the lion’s share (up to 70 percent) of our farm budget, at the expense of many other important commodities. And yet rice contributes less than a fifth of the country’s total agricultural value added, and rice farmers are not even the poorest in the Philippine rural sector. It’s the coconut farmers and artisanal fishers who are. Ironically, we have not gotten any nearer the self-sufficiency goal, and have in fact become the world’s largest rice importer. Analyses by the same authors point to another irony: The rice farmers in greater need hardly benefit from the huge sums allocated yearly by government for increased rice production. 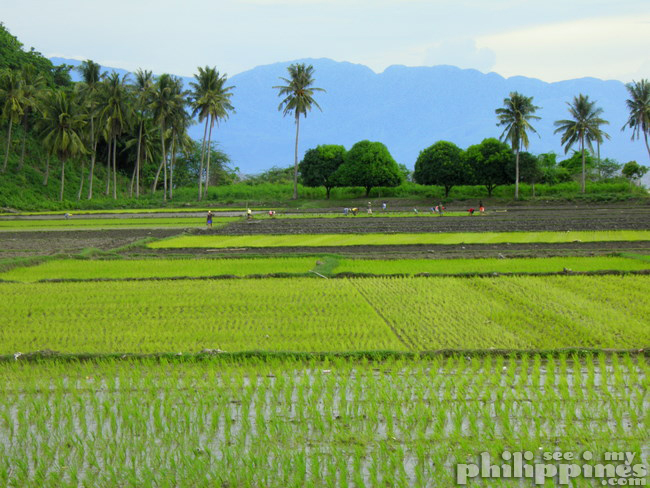 Evidence indicates that the primary beneficiaries of government budgetary allocations for rice have been the better-off, more productive farmers, not the worst-off among them. Similarly ironic is the fact that Malaysia, a country now far ahead of us in economic growth and development, has long had the deliberate and more sensible government policy of not targeting 100-percent rice self-sufficiency. And yet Malaysia trades rice actively in both directions, profiting from significant exports of premium-quality rice even as it imports substantial amounts to fill the domestic demand-supply gap. Since the 1980s, it had targeted to produce only 65-85 percent of its rice requirements. The Malaysians had long recognized that relative to the Greater Mekong Subregion (GMS) countries of Thailand, Vietnam, Cambodia, Laos and Burma (Myanmar), they are naturally disadvantaged in the production of rice, along with neighbors Singapore, Indonesia and the Philippines. Our countries lack the vast river deltas highly favorable to rice production with which the GMS is richly endowed. Malaysian policymakers understood that the resources needed to fill the domestic rice gap could be put to much better use, such as supporting lucrative farm export crops like oil palm and rubber. These crops have earned them ample foreign exchange, enabling them to import rice when they need it, even from as far as Latin America (as I learned from a Malaysian former classmate in graduate school, who had been responsible for sourcing his country’s rice imports). The most unfortunate irony of all is that under current circumstances, the more we pursue 100-percent rice self-sufficiency, the more we make most Filipinos food-insecure. Food security and food self-sufficiency are two different things. Food security denotes reliable access to adequate, affordable, safe and nutritious food. Our self-sufficiency policy has had the perhaps unwitting effect of making rice much more expensive to Filipino consumers than it needs to be, with the Filipino poor suffering the most. It’s the basic economic law of diminishing returns at work: Once beyond the level of maximum productivity that natural endowments will support, the cost of producing more and more of the product rises, often steeply. Unlike the GMS countries, our point of natural maximum productivity appears to be well below our level of sufficiency. For us, full self-sufficiency can only come at the inevitable cost of much higher rice prices or huge taxpayer subsidies, posing an undue penalty to all Filipinos, especially the poor. Indeed, when poverty incidence rose in 2014, it was not because incomes fell (they had actually risen). The National Economic and Development Authority clarified that the culprit was the inordinate rise in the price of rice, the single largest item in the family budgets of poor Filipino households. The sooner we help marginal (hence high-cost) rice farmers shift to more lucrative crops and focus our rice production on those farms most productively endowed for it, the sooner we can lower our overall rice production costs and prices—and ironically, the more food-secure Filipinos, especially the poor, will become.